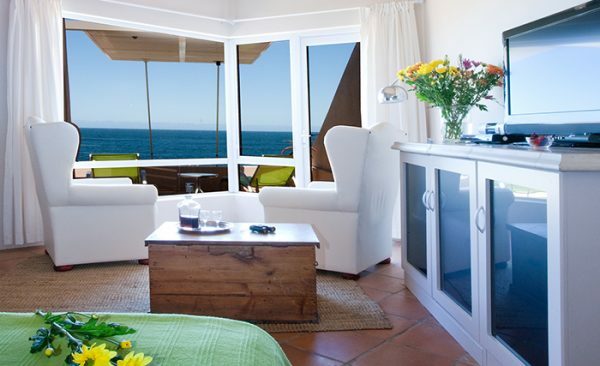 Villa Marine Guest House near Cape Town is a romantic destination for a luxury beach holiday or weekend breakaway. 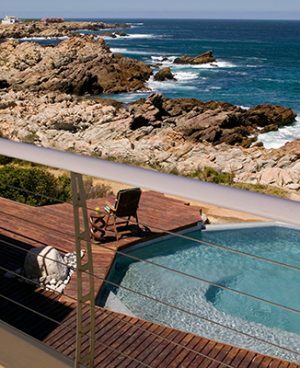 This luxury B&B Guest house near Cape Town is a whale watching and honeymoon destination in the Pringle Bay nature area. 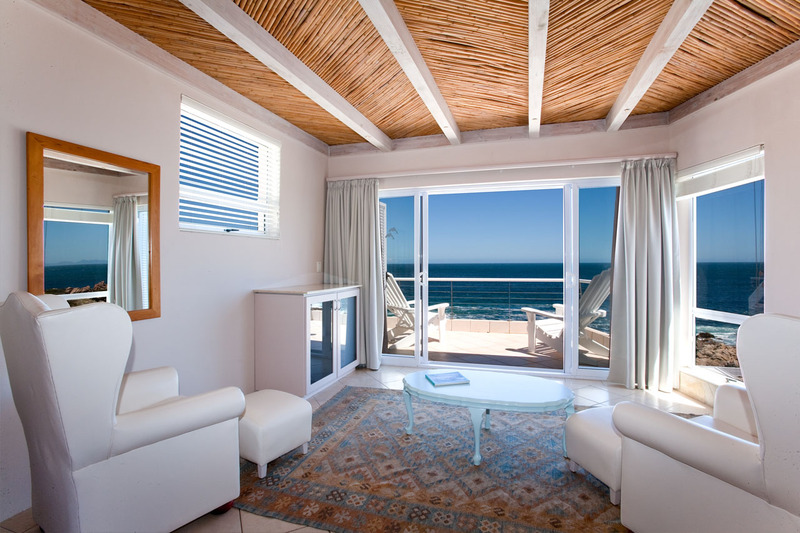 Close to Cape Town airport Pringle Bay is a paradise of beach accommodation for holiday travel guests. 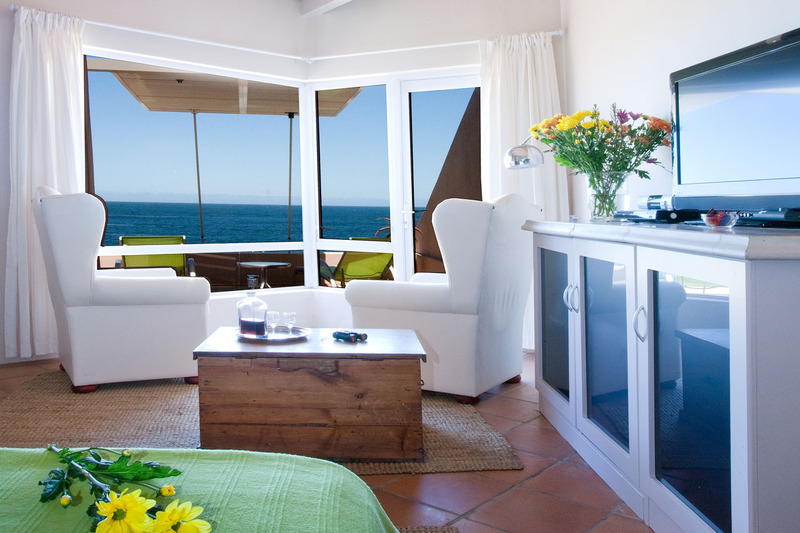 As a romantic getaway Pringle bay area and the guest house is an ideal beach honeymoon destination. 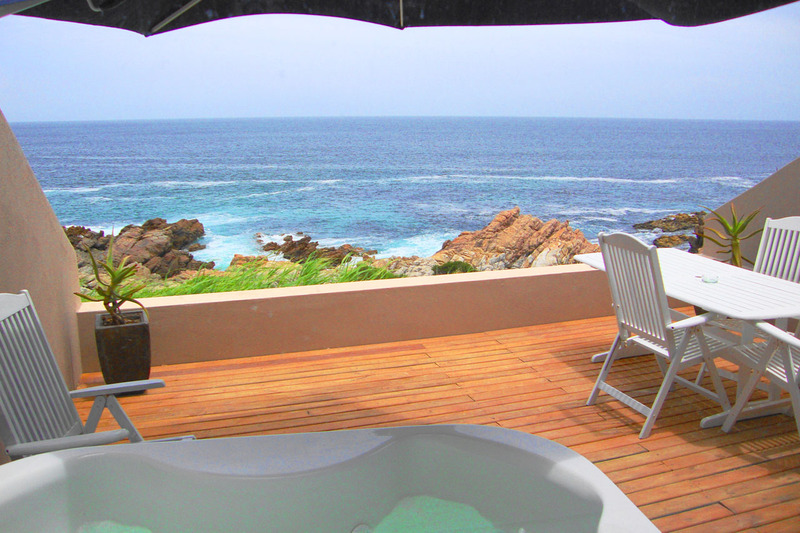 Villa Marine is positioned on the sea and has 6 sea view guest rooms with own bathrooms. In summer the rim flow swimming pool right next to the breaking waves is an ideal place to soak up the sound and smells of the sea while having a refreshing swim. A personally prepared from menu full English breakfast is served in the dining room every morning between 9am and 10am. In the Villa Marine Guest House grounds the fynbos garden is a reflection of the fauna and flora of the region. A Variety of Proteas and fynbos grow naturally and are to be seen in the garden, in Pringle Bay and on the mountain walks. 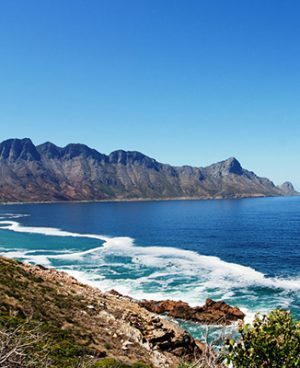 Majestic Hangklip mountain is a short distance along the sea shore from the guest house and can be seen from most of the guest room balcony’s.